Investigators looking into the fatal crash of Virgin Galactic's SpaceShipTwo rocket plane said Sunday twin tail fins that rotate away from the fuselage to slow the craft as it re-enters the atmosphere deployed earlier than expected during a test flight Friday. Seconds later, the futuristic space plane broke apart while traveling at roughly the speed of sound, injuring one pilot and killing the other. Christopher Hart, acting chairman of the National Transportation Safety Board, told reporters late Sunday that investigators had been able to review at least some of the on-board video from a half-dozen cameras, along with stored telemetry, and while the results do not yet indicate a root cause of the mishap, the data do show the sequence of events. "What I'm about to say is a statement of fact and not a statement of cause," Hart said. "We are a long way from finding cause, we still have months and months of investigation, there's a lot that we don't know." The flight got underway Friday with SpaceShipTwo carried aloft by a twin-fuselage carrier jet known as WhiteKnightTwo that took off from Mojave, Calif., where space plane-builder Scaled Composites is based. Pilot Peter Siebold, director of flight operations for Scaled, and co-pilot Michael Alsbury, were at the controls when the rocket plane was released from WhiteKnightTwo at an altitude of roughly 50,000 feet above the Mojave Desert. After a short free fall, the pilots fired the ship's hybrid rocket motor, burning nitrous oxide with solid propellant to begin a steep climb. Seconds later, the aircraft broke apart in a cloud of debris that fell to the Mojave along a five-mile-long swath. Siebold managed to escape the wreckage and parachute back to Earth, enduring unspecified injuries. Alsbury, a 39-year-old father of two, was killed. It was the first powered flight for SpaceShipTwo since January and the first featuring a new fuel mixture intended to improve performance as Virgin Galactic and Scaled Composites worked to complete a long test program before beginning commercial flights next spring. Based on witness accounts, some speculated the hybrid motor might have malfunctioned, triggering the mishap. But Hart said Sunday that investigators "found the fuel tanks, the oxidizer tanks and the engine, and all were intact, showed no signs of burn through, no signs of being breached." Instead, investigators found video evidence and telemetry indicating SpaceShipTwo's twin tail booms, known as "feathers," apparently deployed prematurely. The tail booms extend straight away to the rear of the space plane's fuselage during normal powered flight. Designed by famed aerospace engineer Burt Rutan, the booms, or feathers, are intended to rotate upward with respect to the fuselage during atmospheric entry to increase drag, slowing the craft down and easing stresses on the vehicle. "The spaceship was released normally and shortly after it was released, the rocket engine ignited," Hart said. "About nine seconds after the engine ignited, the telemetry data told us the feather parameters changed from locked to unlocked. Now, in order for feathering, this action to be commanded by the pilots, two actions must occur. One is, the lock-unlock handle most be moved from locked to unlocked and number two is, the feathering handle must be moved to the feather position. "Approximately two seconds after the feathering parameters indicated that the lock-unlock lever was moved from lock to unlock, the feathers moved toward the extended position, the deploy position, even though the feather handle itself had not been moved. This occurred at a speed just above approximately Mach 1.0. Seconds later, telemetry and video ceased as the vehicle broke apart. "The engine burn was normal up until the extension of the feathers," Hart said. "There is a camera in the cockpit -- there are several cameras in the space vehicle -- there's a camera in the cockpit mounted on the ceiling that looks forward and shows the actions of the pilots and the instruments. "And review of that camera is consistent with telemetry data and shows that the feather lock-unlock lever was moved by the co-pilot from the lock position to the unlock position. Normal launch procedures are that after the release (from the WhiteKnightTwo carrier jet), ignition of the rocket and acceleration, that the feathering devices are not to be moved, the lock-unlock lever is not to be moved into the unlock position, until the acceleration is up to Mach 1.4. As I indicated, that occurred at approximately Mach 1.0." In any case, simply unlocking the mechanism should not have triggered deployment. The second action normally required to deploy the feather -- moving the feathering handle to the deploy position -- did not occur. How the mechanism could activate in the absence of the second step is not yet known. It also was not immediately clear how the ship's aerodynamic stability was affected by a premature feather deploy at a lower velocity than planned. Hart re-emphasized that investigators were drawing no conclusions yet and that "months and months of investigation" will be needed to determine the root cause of the mishap. "We'll be looking at training issues, we'll be looking at was there pressure to continue testing, we'll be looking at safety culture, we'll be looking at the design, the procedures, we've got many, many issues to look into much more extensively before we can determine the cause." Asked specifically if pilot error was a factor, Hart said, "We are not ruling anything out. We are looking at all of these issues to determine what was the root cause of this mishap. We are looking at a number of possibilities, including that possibility." The crash was a devastating setback to Virgin Galactic and its founder Richard Branson, one of the leaders in the push to commercialize space travel, and a disheartening tragedy for the tight-knit group of test pilots, engineers and designers based at the Mojave Air and Space Port that have been working for the past decade to turn the dream of commercial spaceflight into reality. The mishap has given fresh ammunition to critics of commercial space, who claim only the super-rich can afford private spaceflight and that the risks outweigh any potential benefits. Supporters argue private industry, unshackled by government bureaucracy and regulations that stifle innovation, is best suited to turn space travel into a viable industry open to average citizens. 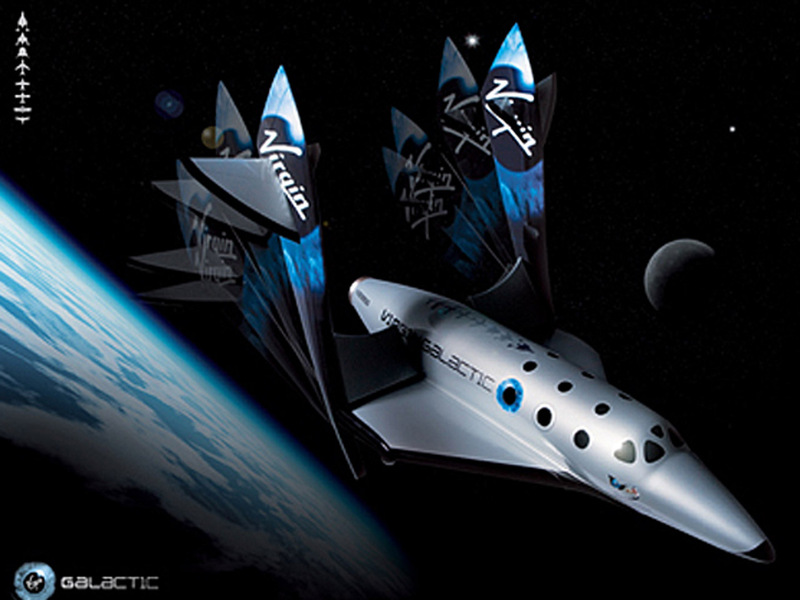 Branson created Virgin Galactic after Scaled Composites, founded by Rutan, won the Ansari X-Prize in 2004, becoming the first private company to send a manned spacecraft -- SpaceShipOne -- higher than 100 kilometers, or 62 miles, the generally agreed-on boundary of space. Virgin Galactic entered into a partnership with Scaled to build a much larger space plane -- SpaceShipTwo -- capable of carrying a crew of two and four to six passengers out of the dense lower atmosphere for brief sub-orbital forays into the weightless environment of space. After several delays and false starts, Branson was hoping to begin commercial operations next spring. But the loss of SpaceShipTwo has put those plans on hold indefinitely. In a statement released earlier Sunday, Virgin Galactic warned against premature speculation, saying safety was the company's top priority and "any suggestion to the contrary is categorically untrue." "We have the privilege to work with some of the best minds in the space industry, who have dedicated their lives to the development of technologies to enable the continued exploration of space," the statement said. "All of us at Virgin Galactic understand the importance of our mission and the significance of creating the first ever commercial spaceline. This is not a mission that anyone takes lightly." The statement went on to say "we have been overwhelmed and grateful for the outpouring of support we have received from our future astronauts, friends in the industry and people all over the world who are inspired by the work our industry is doing and who are urging us to continue." "Now is not the time for speculation," the company said. "Now is the time to focus on all those affected by this tragic accident and to work with the experts at the NTSB, to get to the bottom of what happened on that tragic day, and to learn from it so that we can move forward safely with this important mission."